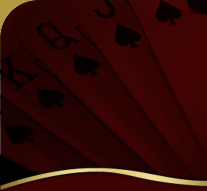 Hi-Life Poker is the latest addition to the Cake Poker Network and already has access to some of the softest games on the net. They also offer the amazing rewards program, such as the Gold Chips Loyalty Levels and Gold Cards. Hi-Life also has live satellite tournaments on a daily basis. Hi-Life offers Texas Hold’em, Omaha and Omaha Hi/Lo ring games and tournaments in both real money and free play money. Tables rage from $0,01 right up to high roller tables. The layout is simple and user friendly with quality graphics that are attractive and colourful. Hi-Life Poker does not have a live chat feature, however, they do pride themselves on answering email enquiries within 20 minutes and they are available 24/7. Hi-Life Poker was established in 2011 and is based in Curacao, Netherlands Antilles and caters mainly to European countries. New players will be rewarded with a 110% Deposit Bonus of $600, including an entry into a $500 New Depositors Freeroll.